FIFA 16 is a football video game developed by EA and the game runs on Microsoft Windows, PlayStation 3, PlayStation 4, Xbox 360, Xbox One, Android and iOS. FIFA 16 is the first in the FIFA game to include female players. The players on the covers were chosen by popular vote, including one of the first three women to appear on the cover. FIFA 16 contains 78 stadiums, including 50 real-world venues. Fratton Park, home of Portsmouth, was added to honor Portsmouth fan Simon Humber, creative director of the FIFA series, who died of cancer in 2015. A new Training Mode was also added to FIFA 16 allowing the player to develop footballers in the team. Quite interesting isn't it. FIFA 16 was launched for PC on September 22. Here are the recommended and minimum specifications required to run FIFA 16 your computer. FIFA 16 comes in 3 editions. I have used all the 3 editions and here are some facts and reviews that would help you. 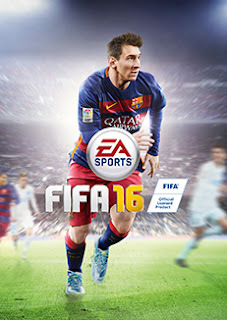 The standard edition of FIFA 16 costs around 1250. According to me, you should not go for this version as it does not have some very important and basic features and you can get a better version by just spending 550 more. This version costs of FIFA 16 around 1800. According to me, you can purchase this version as it has all the basic feature and gives you a good gaming experience. If you have some extra money you should definitely buy the super deluxe edition but I can ensure you that if you want a good gaming experience then this version is fine. This version costs of FIFA 16 around 2900. This is the most expensive edition of the game and it contains all the features. It also gives you 8000 FIFA coins when you buy it. As per my experience, it is quite expensive and does not give any important extra feature, instead the deluxe version is more cost effective.